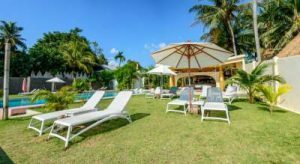 Phangan Beach Resort 111/2 Moo 1, Ban Tai, Koh Phangan, Baan Tai Accommodation. Score from 145 reviews: Good 7.5 There are 2 people looking at this resort. 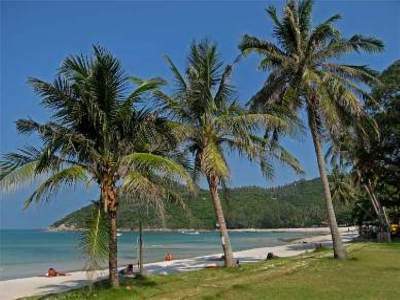 Phangan Beach Resort provides a free one-way transfer from Thong Sala Pier, 3 km away. Koh Samui is approximately 20 km from the resort. Charming bungalows offer private bathrooms with either hot or cold shower facilities. Select bungalows have air conditioning, a TV with cable channels and a minibar. We speak your language!Accommodation Hotel Rooms: 27. Score from 388 reviews: Very good 8.2 There are 6 people looking at this holiday park. It also provides an outdoor infinity pool and free Wi-Fi. Chargeable transfers from Thongsala Pier to the resort are available. Fully air-conditioned, these tropical wooden bungalows all come with a cable/satellite TV and fridge. From the private balcony, guests can enjoy beautiful garden or sea views. Private bathrooms have hot-water showers. High Life Bungalow is a 10-minute walk from Ao Chao Prao and a 15-minute drive from Thongsala Main Pier. It is a 30-minute drive from the famous Full Moon Party at Haad Rin Beach. Free services include Wi-Fi at the lobby, as well as parking. Day trips can be arranged at the tour desk, while water sports activities can be enjoyed at the beach. Thai massage is also available. The resort’s restaurant serves a selection of Thai and Western dishes. Score from 355 reviews: Superb 9.2 There are 2 people looking at this resort. Le Divine Comedie is located 8 km away from Haad Rin. Samui Airport can be reached within 30 minutes by boat. Each room has its own character and features polished concrete floors. The rooms include air conditioning, a minibar and a safety deposit box. All en suite bathrooms come with free toiletries and shower facilities. Guests can enjoy a variety of Thai and international dishes served at Le Divine Comedie’s restaurant. Offering free Wi-Fi, it also features a beachfront restaurant and bar. Resort Baan Manali is a 10-minute walk from Thongsala Village and a 15-minute drive from the monthly Full Moon Party venue. Thong Sala Island is 1 km away. Spread out over a large tropical garden, the air-conditioned bungalows come with a private balcony and relaxing hammocks. The private bathrooms have hot-water showers. Guests can rent a motorbike or jeep to get close to nature or explore the surroundings. Sea sports including kayaking and sailing are available. A laundry service is available. With spectacular sunset views, Kokomo Beach Restaurant serves traditional Thai and European specialities. Refreshing tropical cocktails can be enjoyed at Kokomo Bar. Phangan’s beaches – bird’s eye – GoPro paramotor video. Amazing nature of beautiful island Koh Phangan – Thailand. I enjoyed really so much this beauty from my paramotor flying around island. Enjoy too, comment, like and share – you make me happy. Special thanks to Gradient Orbit 3 glider ! 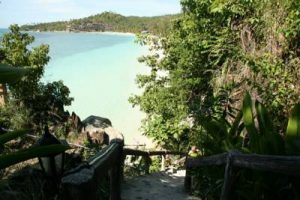 On Kohpanganyou can see typical picture-postcard views of swaying palms , crystal clear bays and beautiful sunrises. If you like to dine out then the island offers you a variety of places to eat, bars and cafes offering Thai, International, English, Mexican and Mediterranean dishes, something to suit everyone. And naturally of it’s location a huge selection of fresh seafood that is locally caught. Koh Phangan is a relaxed place in the Gulf of Thailand with the most amazing beaches found in South Thailand. You can find many interesting beacheson Phangan. Had Rin Nok, Had Yao, Haad Tien and Thong Nai Pan are a few of the really interesting ones. 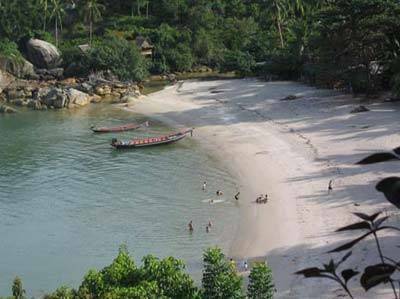 Koh Panghan used to soak up the Fullmoon started with the There are lots of ways to see the island, you can use a local taxi for a little amount of money,or if you feel really adventurist you can rent a chopper or car and drive around to your own adgenda. The island has to offer a variety of restaurants, bars and cafes catering Thai, International, Danish, Mexican and Mediterranean dishes, something to suit everyone. And of course a large choice of fresh seafood that is locally caught. Koh Phangan is a great little island sandwiched between Koh Tao (35km) to the north and the larger Koh Samui (15km) to the south. Phangan is the location of the notorious “Full Moon Party” on Haad Rin Beach, which attracts masses of partying backpackers who arrive from everywhere seeking the party of their lives! Yet Koh Phangan is about so much more than a wild party. It’s a beautiful place, mostly unspoilt and full of tranquil natural beauty. Lots of people come for the serenity of Phangan. 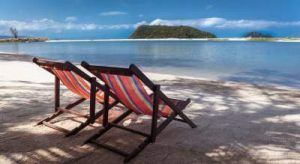 Take A Break Holidays takeabreakholiday, Koh Phangan Accommodation.